Anyone subject to persistent nausea and/or vomiting knows the distress this causes. Your diet is often critical and your Chinese Medicine doctor will want to know exactly what you are putting in your mouth and will very likely recommend specific dietary modifications. But nausea is often more than a matter of diet. A Chinese Medicine diagnostic approach may discern excess dampness, organ deficiency, internal cold or long term pathogenic invasion. Chinese Medicine diagnostic analysis pays attention to the specific symptoms and body signs that any one person presents. The full range of Chinese Medicine skills including acupuncture, moxibustion and Chinese herbal medicine offer a reputable treatment option for the management of nausea and vomiting. Damian Carey, our Doctor of Chinese Medicine, has decades of experience treating patients with nausea. Post Operative Nausea and Vomiting: Level One - Evidence of Positive Effect This level of evidence demonstrates consistent, statistically significant, positive effect. Chemotherapy induced Nausea and Vomiting: Level One - Evidence of Positive Effect This level of evidence demonstrates consistent, statistically significant, positive effect. Cheong KB, Zhang JP, Huang Y, Zhang ZJ. The effectiveness of acupuncture in prevention and treatment of postoperative nausea and vomiting--a systematic review and meta-analysis. PloS One. 2013;8(12):e82474. Cho HK, Park IJ, Jeong YM, Lee YJ, Hwang SH. Can perioperative acupuncture reduce the pain and vomiting experienced after tonsillectomy? A meta-analysis. The Laryngoscope. 2016 Mar;126(3):608-15. Garcia MK, McQuade J, Lee R, Haddad R, Spano M, Cohen L. Acupuncture for symptom management in cancer care: an update. Current Oncology Reports. 2014 Dec;16(12):418. Lee A, Chan SK, Fan LT. Stimulation of the wrist acupuncture point PC6 for preventing postoperative nausea and vomiting. The Cochrane database of systematic reviews. 2015(11):Cd003281. Lian WL, Pan MQ, Zhou DH, Zhang ZJ. Effectiveness of acupuncture for palliative care in cancer patients: a systematic review. Chinese Journal of Integrative Medicine. 2014 Feb;20(2):136-47. Lu W, Rosenthal DS. Acupuncture for cancer pain and related symptoms. Current Pain and Headache Reports. 2013 Mar;17(3):321. McKeon C, Smith, C.A., Hardy, J. & Chang, E. Acupunctrue and acupressure for chemotherapy-induced nausea and vomiting: a systematic review. 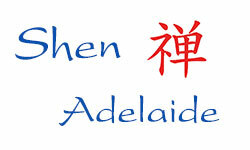 Australian Journal of Acupuncture and Chinese Medicine. 2013;8(1):2-17. Shin HC, Kim JS, Lee SK, Kwon SH, Kim MS, Lee EJ, et al. The effect of acupuncture on postoperative nausea and vomiting after pediatric tonsillectomy: A meta-analysis and systematic review. The Laryngoscope. 2016 Aug;126(8):1761-7. Towler P, Molassiotis A, Brearley SG. What is the evidence for the use of acupuncture as an intervention for symptom management in cancer supportive and palliative care: an integrative overview of reviews. Supportive Care in Cancer: Official Journal of the Multinational Association of Supportive Care in Cancer. 2013 Oct;21(10):2913-23.